The Johnstone Strait area gets over 150 cm’s of annual rainfall. It creates a very lush and green environment. 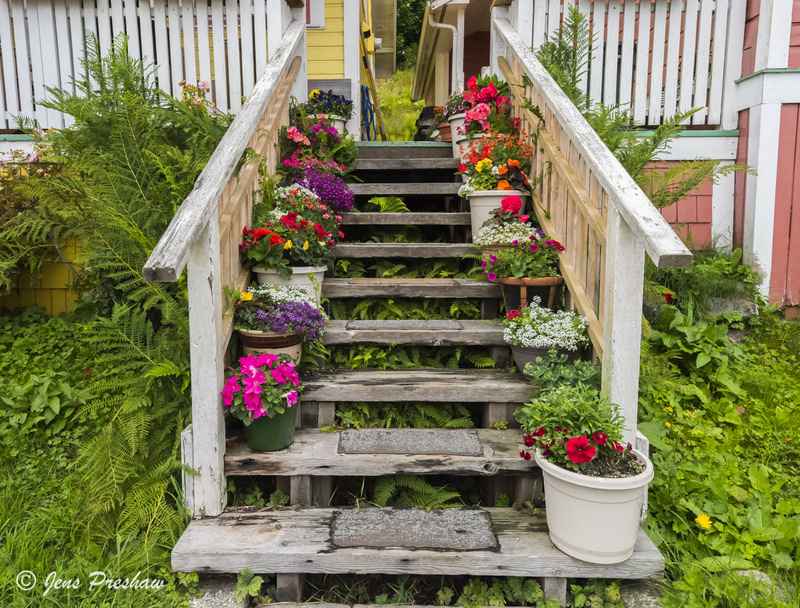 This photo was taken in the village of Alert Bay on Cormorant Island which is the home of the U’mista Cultural Centre and museum. It has an amazing collection of First Nations potlatch artifacts. Click on the image to see a larger version. 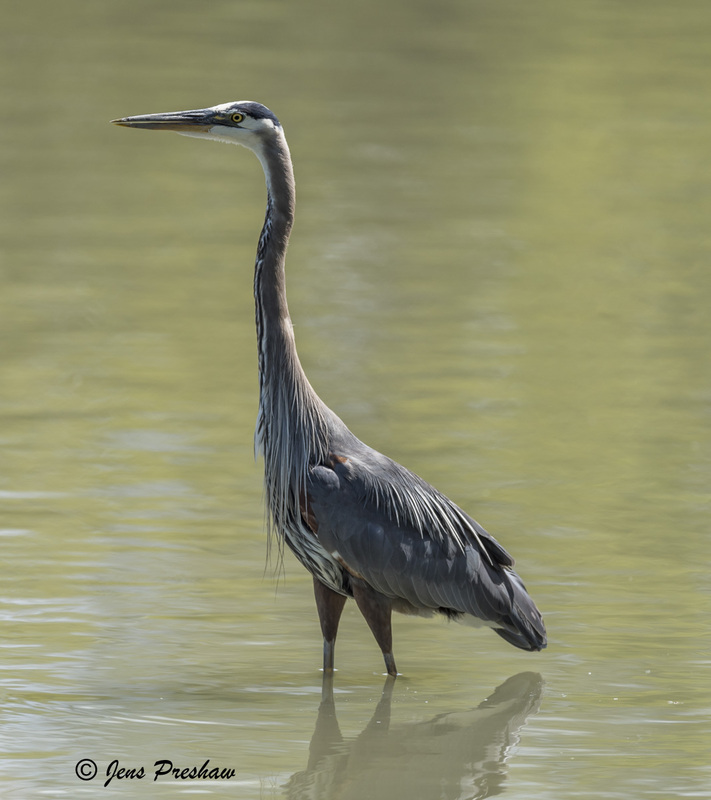 The most commonly employed hunting technique of the Great Blue Heron is wading slowly with its long legs through shallow water and quickly spearing fish with its long, sharp bill. It’s the largest North American heron. 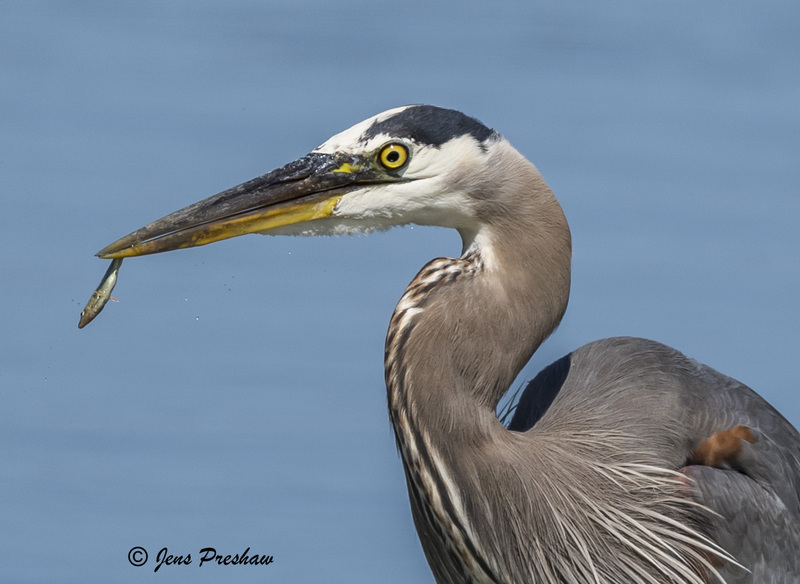 As I was watching this heron, I noticed it was very patient and consistently catching small fish. Click on an image to see a larger version. 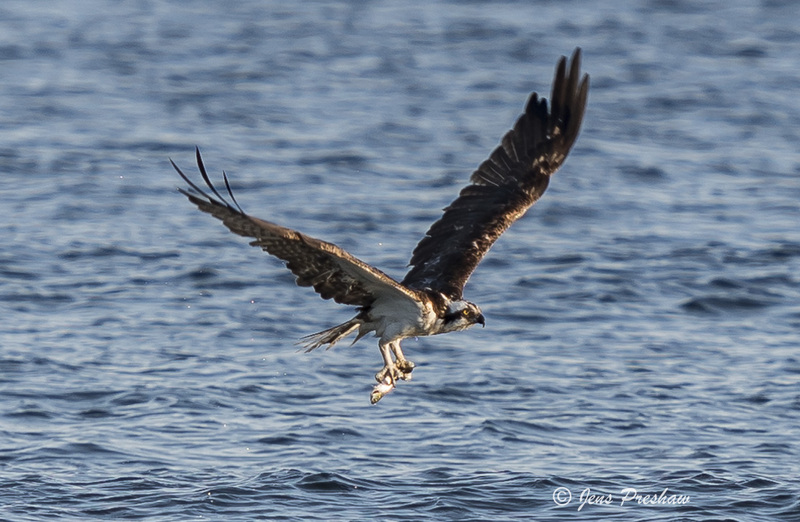 I spent a few evenings taking images of an adult osprey as it was feeding on fish. It would fly just off the shore as the tide was coming in, looking down for fish in the water. The pattern it was flying reminded me of the circuit planes fly around an airport. 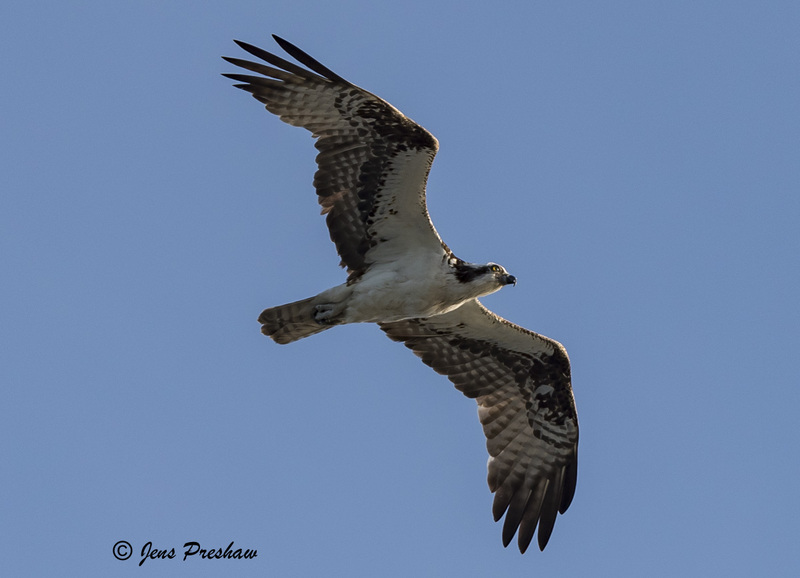 The osprey would fly downwind over the ocean and then turn upwind as it hunted for fish. 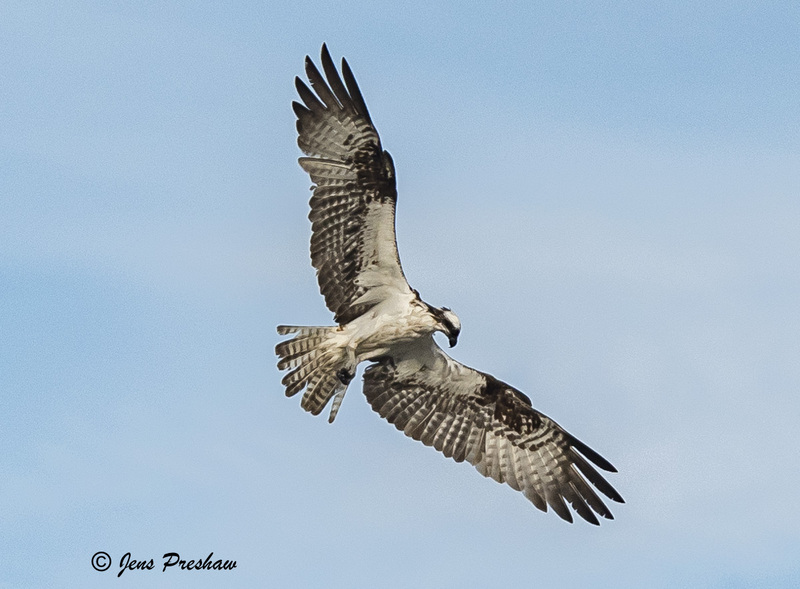 By flying into the wind it could fly slower and hover more easily before diving into the water feet-first to grasp its prey. When it caught a fish and began to climb it also shook itself like a dog when it steps out of water. 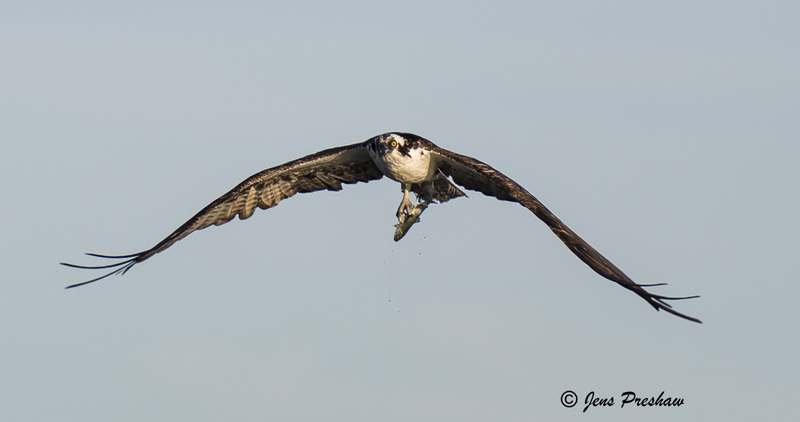 The osprey is the only bird of prey that feeds exclusively on live fish. 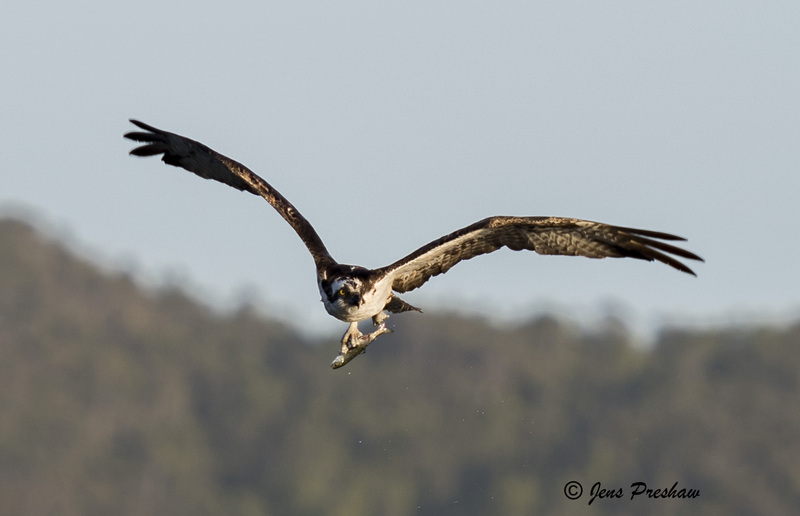 After catching a fish it carries it headfirst to make it as aerodynamic as possible. I feel truly blessed that this beautiful raptor let me spend some time with it. Click on an image to see a larger version.